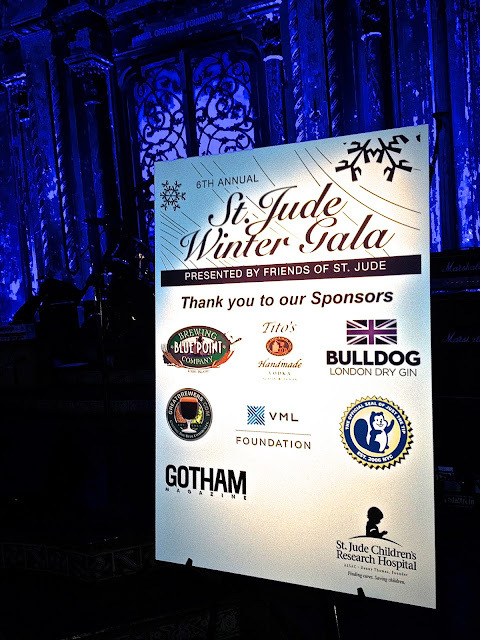 On December 7th, St. Jude's hosted their 6th Annual Winter Gala to benefit the children of the St. Jude's Research Hospital. It was a rainy evening, but that didn't put a damper on the party! Approximately 500 guests came out dressed in their best to the beautiful Angel Orensanz Foundation on Manhattan’s lower east side. Friends of St. Jude showed support for the cause while enjoying cocktails, small bites and breaking it down on the dance floor. Ticket sales along with proceeds from the silent auction help fight against childhood cancer. The auction literally had something for everyone, some included dining at luxe restaurants, great fitness packages, fashion from Rent the Runway and even sport items from NY Yankees & Giants. St. Jude's has been helping children and their families fight against cancer for 50 years, not to mention they cover the cost of treatment and pays the lodging, food, and travel for patients and a family member or legal guardian. For more information about St. Jude's and where to donate, simply click here.